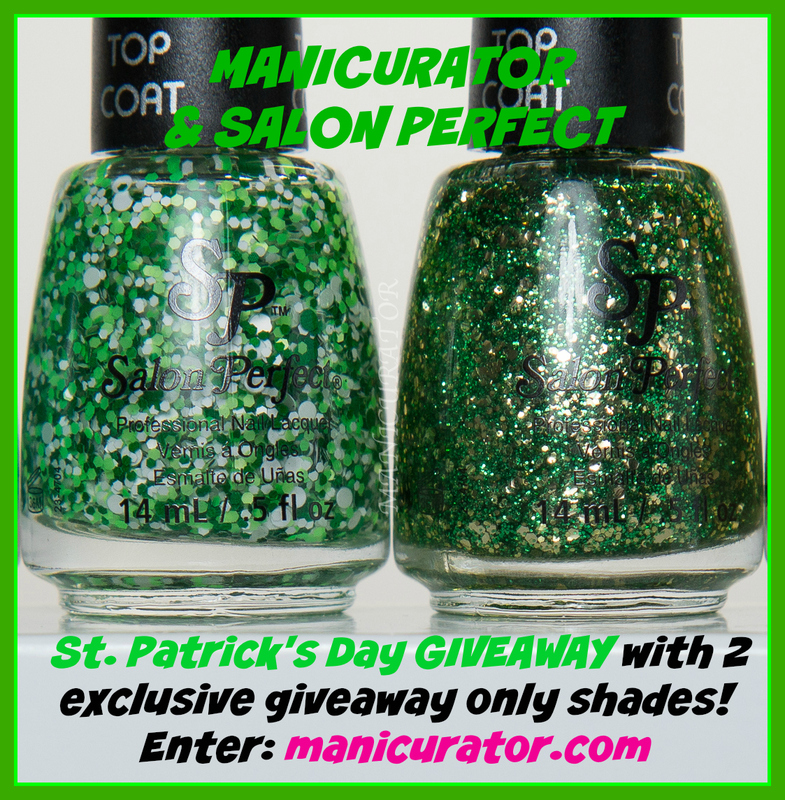 So happy to present you with an opportunity - make that 20 opportunities - to win these six St. Patrick's Day themed shades from Salon Perfect! 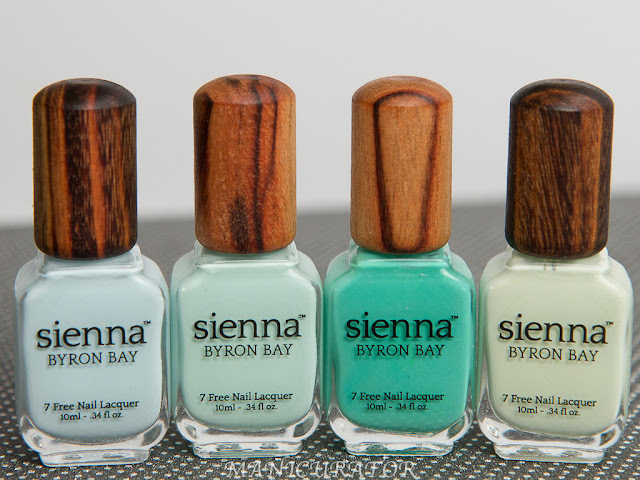 Four of the shades: Sugar Cube, Gold Leaf, Escape to Neverland, Loopy Lime are from the core line but two of them: Sham-rock Your Socks Off and Luck Of The Irish are exclusive and can only be won through this giveaway!! Salon Perfect is offering TWENTY sets to giveaway! Hooray!! I would not have imagined these would all look good together from the bottles but love how it turned out! Salon Perfect Sham-Rock Your Socks Off - Multi-size circle and hex matte glitters in white and green shades. Obviously, I hand placed the glitters from this shade and really love the effect! I experienced no problems at all with formula or application for any of these. I'm thrilled to be able to offer this giveaway to you courtesy of Salon Perfect! My apologies, this is open to U.S. shipping addresses only. 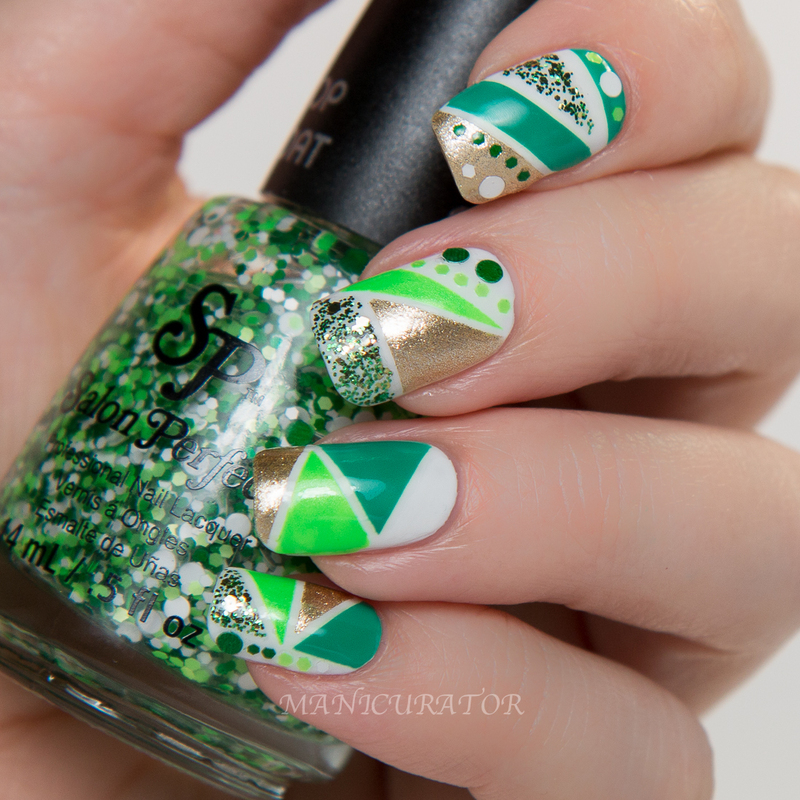 I love how busy that manicure is, festival on nails and perfect representation of St. Patrick's Days! How festive for St. Patrick's Day! I love this! Great designs. Thanks for this giveaway! Oh, I do love how you used these beauties! 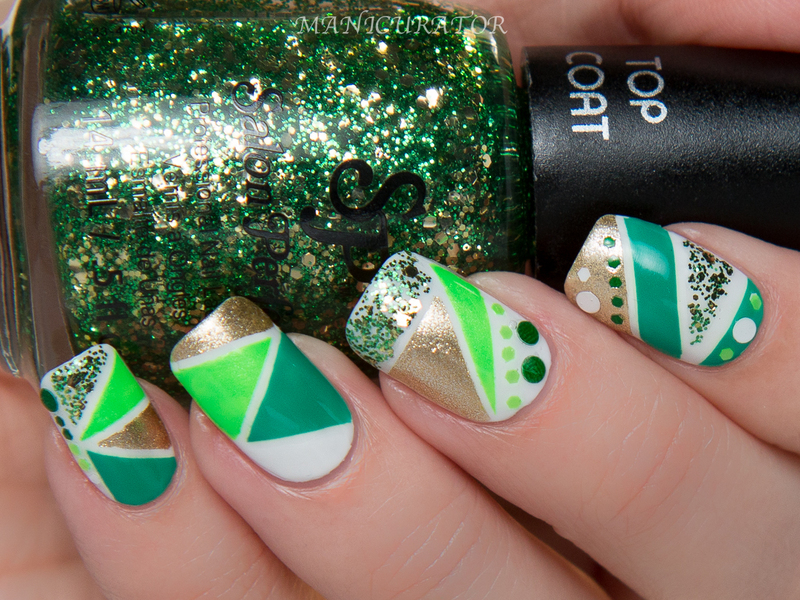 Such a fun, very Saint Patrick's like mani <3 it! Love The Mani Its So Gorgeous ! 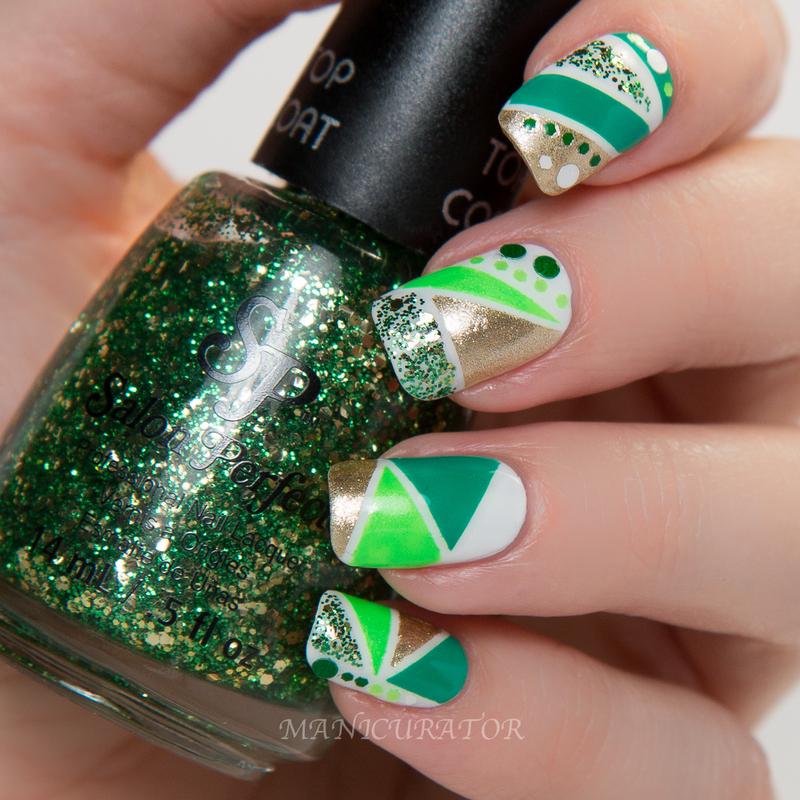 This is the best St Patrick's Day nail art I've ever seen. I love that you mixed different greens and finishes and avoided shamrocks, leprechauns and pots of gold. GORGEOUS! Well I love this collection! Your nail art is so fun and cheerful. The pinkie is my fav hehe! This nail art is so perfectly YOU, Victoria! Loving this color combination! Very festive. 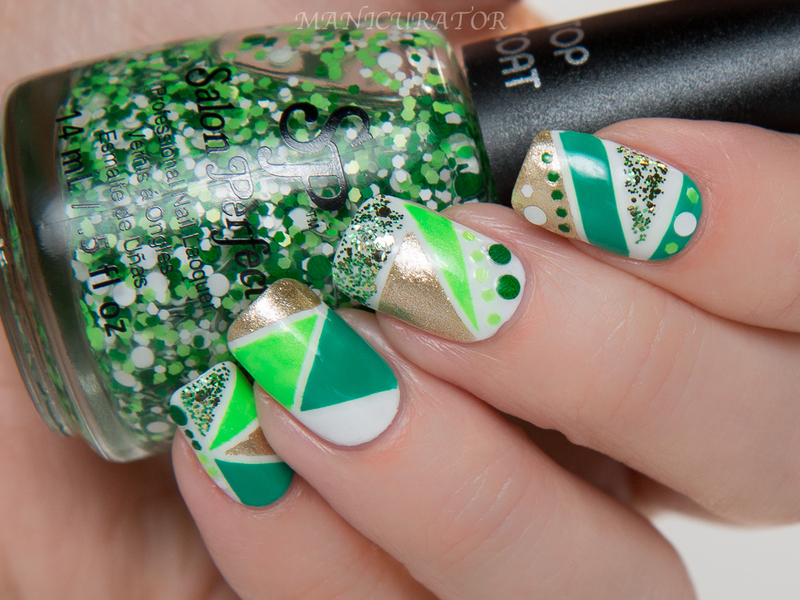 I love this nail art, so much to see but still very pulled together! Love this design... very cool color combination as well. Oooooooh I love love LOVE that manicure :-D So so pretty. 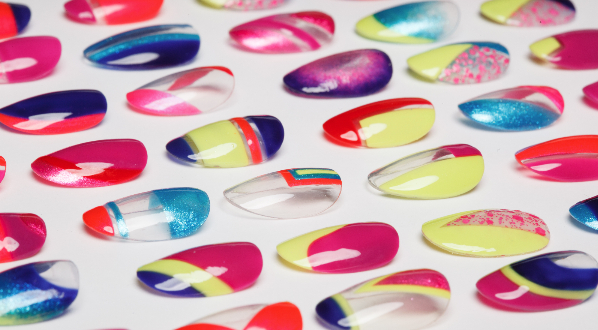 These nail art is super fun! I want to do a patchwork mani for SPD and I might just have to get some of these colors to do it!